I clean my microwave about every week, and it never gets too dirty as we don’t use it that often. I usually wipe it out with vinegar sprayed onto a rag… but I wanted to write a post about a trick I learned on Pinterest that I’ve used a few times when I need a deeper clean. 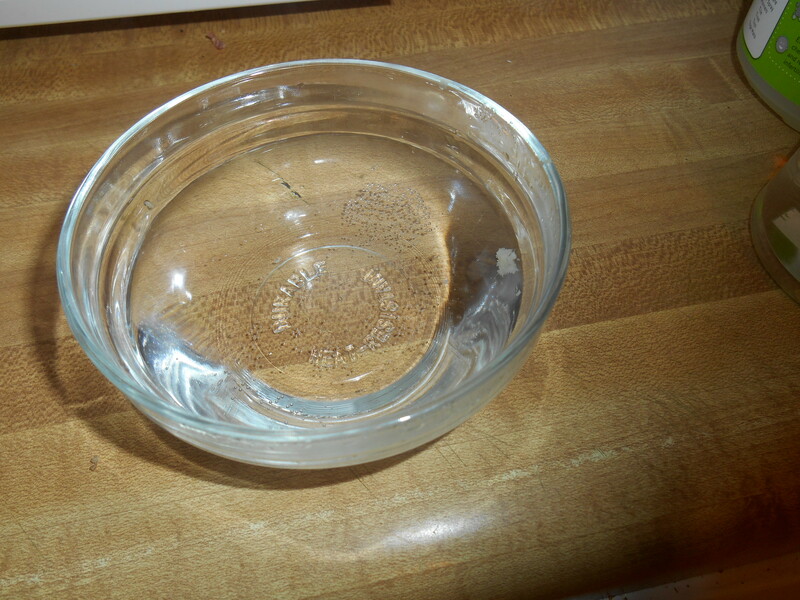 Put half water, half vinegar in a microwave-safe bowl. (Pinterest says 1 cup of each… I use less. The vinegar smell is awful and lingering if you use too much.) Once I microwaved straight vinegar because I forgot and I had to leave the room because of the smell. Microwave on high for 1-3 minutes, depending on how stuck on the food is. Some Pinners say 10 minutes. I have not found that to be necessary. 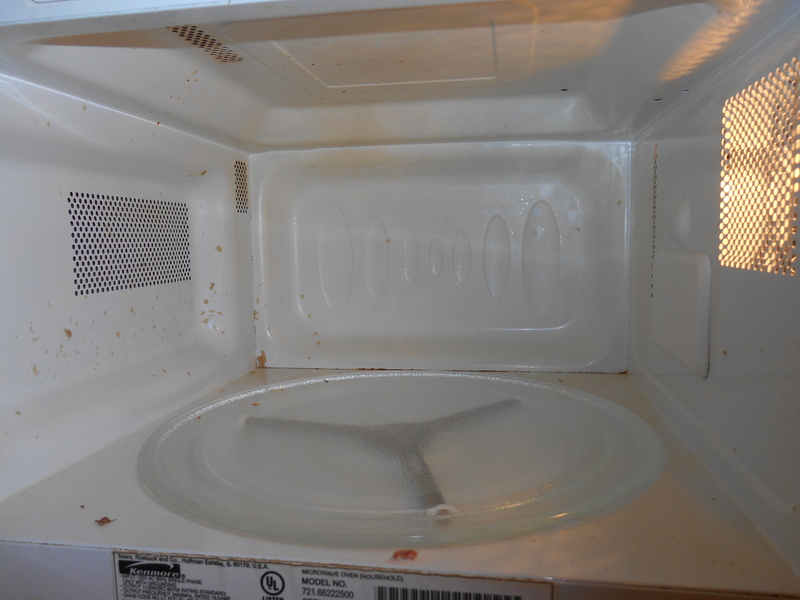 The steam from the vinegar mixture loosens the food/grime on the walls and ceiling of the inside of the microwave. Remove the bowl with oven mitts. Dip a rag in the (VERY HOT!) solution and wipe down walls and ceiling. 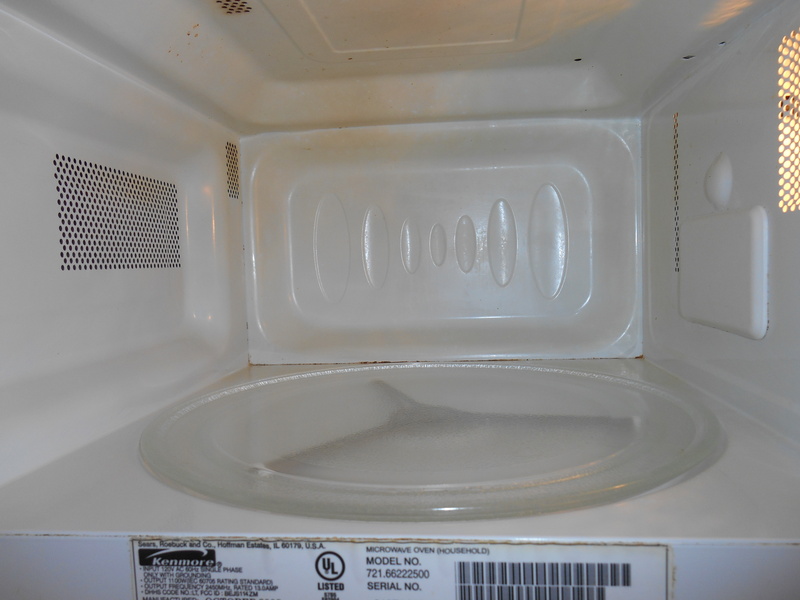 It’s a good idea to remove the microwave plate to wipe it down, or wash with dish soap if you need to. I always leave the microwave door open a little while to air it out. I also wipe down the outside of the microwave to disinfect a bit. VERDICT: This Pinterest trick works nicely. I like that it uses vinegar, which is safe to ingest. I also like how easy it is. I haven’t had the opportunity to use this method on an extra-dirty microwave in a while, but if I remember right, it works well for those too with a few extra minutes of microwaving. If you find yourself needing to scrub too hard, microwave the vinegar/water mixture a little longer. Comment if you try it! This entry was posted in Cleaning, How-To, Natural and tagged clean, cleaning, DIY, green, how to, how-to, microwave, natural, pinterest, vinegar, vinegar mixture. Bookmark the permalink. My mom taught me this trick, but she just put water into a coffee cup and microwaved it for a couple minutes (depending on how dirty)! Works well! This trick is definitely a good one, it takes some elbow work out of cleaning!